If you are trying to find something really special to surprise yourself or all your family and friends. And if you love flying, Unigolf provide a great seaplane tour with extra saving for your high class holiday. Gently take off from the waters and effortlessly ascending to the skies. Spectacular views, spacious cabin, five star service on every flight, luxury accommodation and round of golf at Ha Noi Golf Club – one of the best golf courses in the North will definitely make your trip. 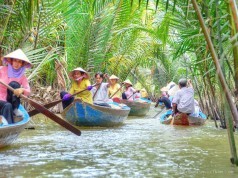 Established in 2011, Hai Au Aviation is joined by Thien Minh Group and Focus Travel Group. In response to the demands of the changing market and the needs of unique luxury travel experiences of customers in Vietnam, Hai Au invested in Amphibian aircraft with the intention of showcasing from the air the true beauty of Vietnam and whisking guests to exotic destinations in the blink of an eye. 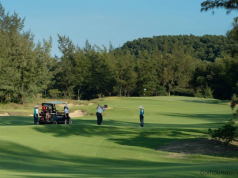 Officially opened in 2006 with 18 holes of golf, Ha Noi Golf Club has gradually improved the facility and finally became the 27-hole golf course in 2013, the course spreads over a vast hilly area in the countryside of Ha Noi. The entire course is covered by Tifgreen 328 Bermuda grass. Beautiful dark green, fine texture grass is daily cared by high technology and advanced techniques under the guidance of experienced and technical expert. – Mr Hiromu Nakaoka. Ha Long Bay includes some 1,600 islands and islets, forming a spectacular seascape of limestone pillars. Because of their precipitous nature, most of the islands are uninhabited and unaffected by a human presence. Islands here are divided into 2 kinds: Limestone Island & Schist Island mainly located at 2 areas are the south-east of Bai Tu Long Bay and the other are the south-west of Ha Long Bay. Situated right in the heart of the capital, Lan Vien Hotel Hanoi is a perfect location to have a kinds of feelings about Ha Noi and neighbor areas. The 4-star hotel offers the perfect combination of modern luxuries, impeccable service and excellent value for the business or pleasure travelers.. An unique point of this hotel is its location very near interesting tourist destinations in Ha Noi like Vietnam Women Museum, American Club Restaurant, Ha Noi Theater. All will make this trip is wonderful and unforgettable ! 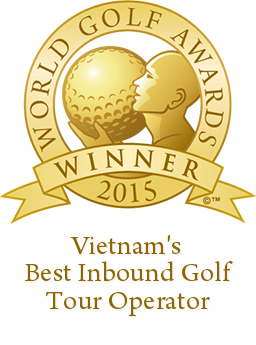 Day 1, pick up guest at Noi Bai Airport the transfer to Hanoi Golf Club. 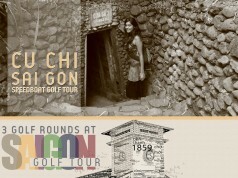 After finishing the round here, transfer to hotel to check in & rest. Day 2, after breakfast, transfer to Noi Bai Airport to take the seaplane flight to Ha Long then back to Noi Bai. End of services. 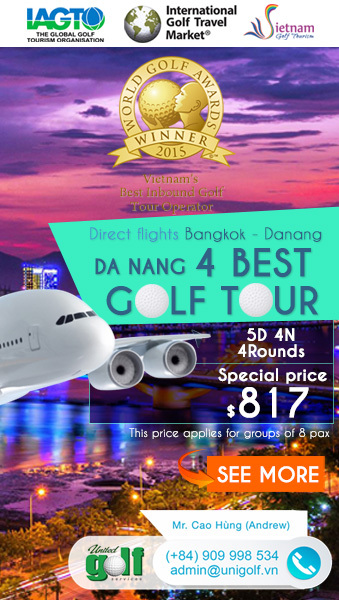 Keyword: ha noi golf club, ha long bay, lan vien hotel. Previous articleWhat does it take to be the best?